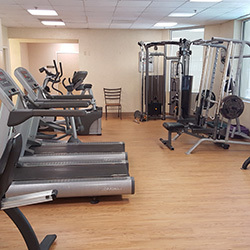 Keep up with your workouts in our fully equipped fitness center, which features free weights, cardio machines, strength training equipment, stretching areas and spacious locker rooms for your convenience. 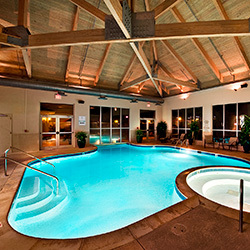 Our heated indoor/outdoor swimming pool offers the perfect retreat, whether you want to jump start your day with a few morning laps or unwind with an evening swim. Or, sink back in the Jacuzzi and let the warm bubbles soothe your entire body. Then settle into the Swedish sauna and feel all your worries melt away. After a long day of work or play, there’s no better way to unwind than with a relaxing treatment – or several – at Cypress Bend Spa. Our scenic nature trail takes you around our vibrant gardens, through tranquil forests and past the shimmering lake. With many possible distances, you can choose the experience that’s right for you. 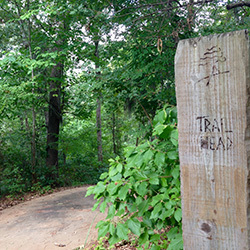 Try the one mile loop for beautiful scenery and a relaxing stroll or challenge yourself with a more vigorous route.